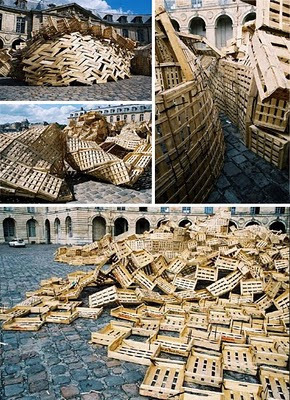 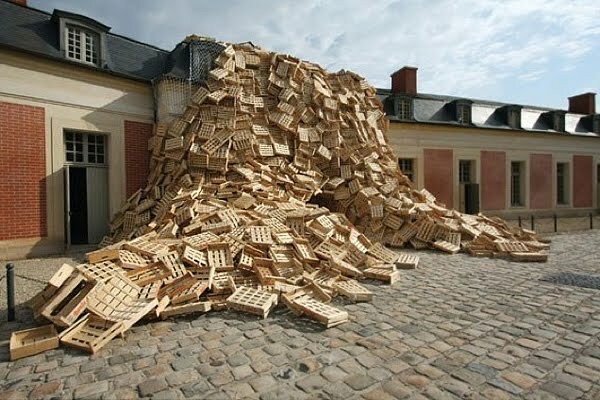 Lot's of artists have been embracing the aesthetics and affordability of using found objects in their art, but Tadashi Kawamata surpasses all of them in the general girth and shock value of his work. 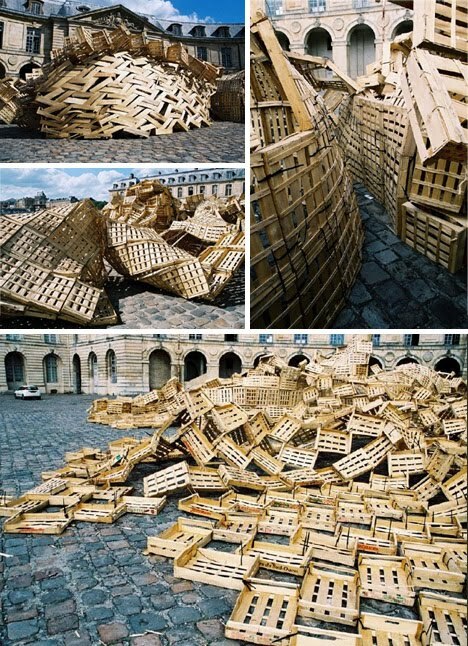 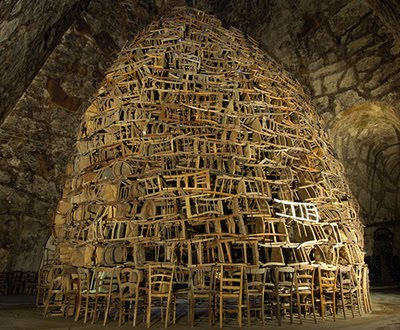 He is known for the deconstruction of found objects and reconstruction in very unconventional, public places and in surprisingly organic configurations like the ones featured above. We wonder how he collects it all.